F.R. 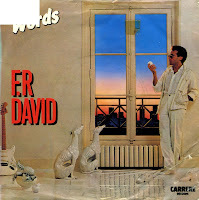 David was born as Eli Robert Fitoussi on January 1, 1947 in Menzel Bourguiba, Tunisia.During the Seventies, he was a member of the French rock band Les Variations. After this, he went solo, always wearing his trademark sunglasses and a white Fender Stratocaster guitar. His single 'Words', released in 1982, became his trademark song when it sold eight million copies worldwide. It peaked at number 2 in the UK singles chart and the Dutch Top 40. The song actually topped the charts in Germany, Switzerland, Sweden, Austria and Norway.